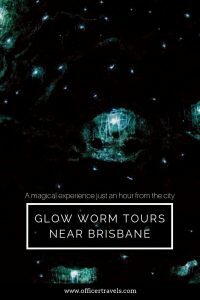 Finding glow worms near Brisbane! 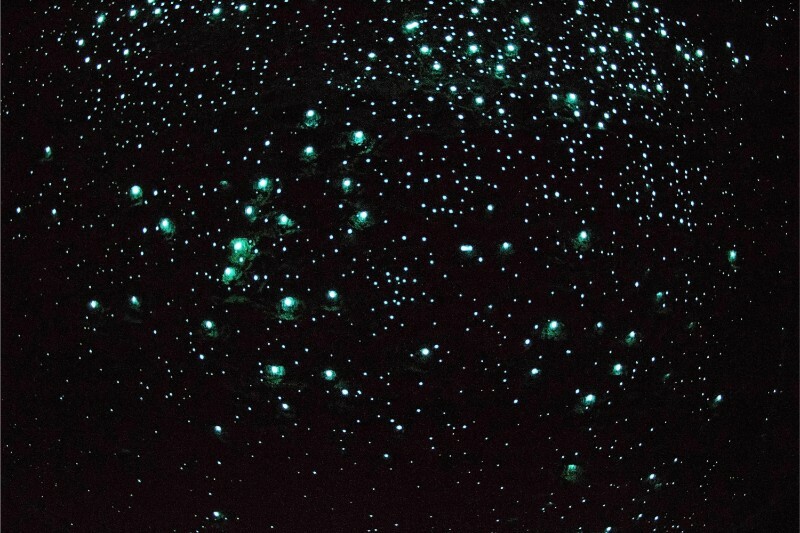 There are not many places around the world where you can see glow worms. 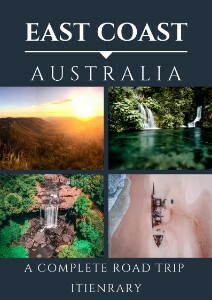 In fact, they are only found in Australia and New Zealand. 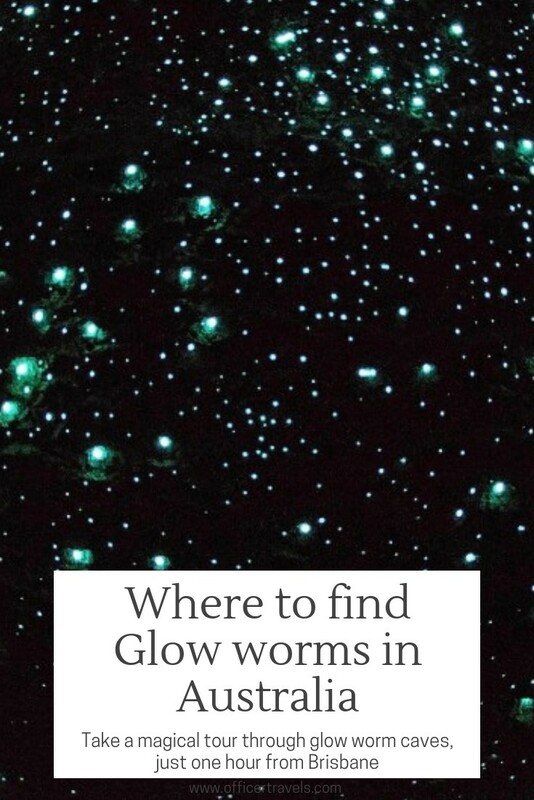 But exactly where in Australia can you find glow worms? Well, it turns out they’re right on Brisbane’s doorstep in Mount Tamborine National Park, about an hours drive from the city. Mount Tamborine glow worm cave isn’t like any other glow worm cave in Australia though. With a man-made cave, these are tailored with the glow worms happiness and safety in mind. While I do usually like to see wildlife as exactly that; wild, when it comes to finding glow worms it’s a whole other story. We’ve tried once before with wild glow worms at a cave near Sydney Royal National Park but obviously, glow worms only glow when it’s really dark and let’s just say I’m not a fan of wandering around the woods once the sun goes down. 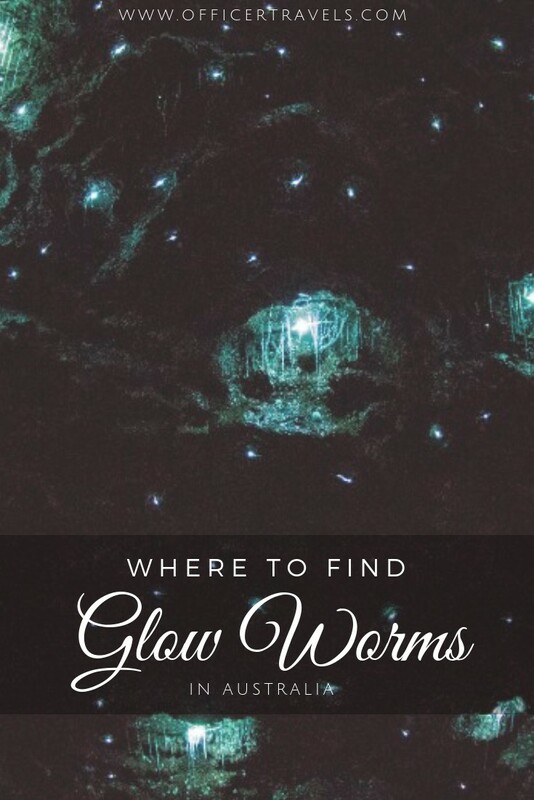 Why is Mount Tamborine glow worm cave the best place to see glow worms in Australia? 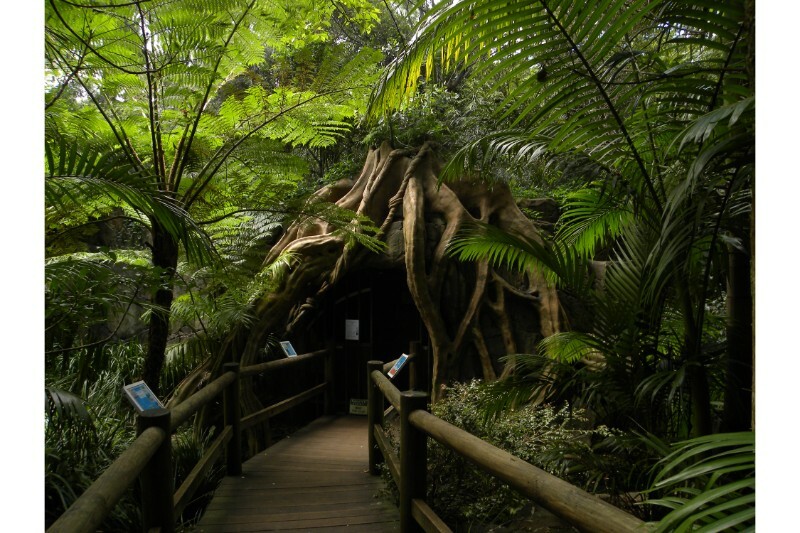 Not only is it really environmentally friendly for the glow worms, but the tours at Mount Tamborine glow worm caves are really interesting too! Before entering the glow worm cave we were shown a short video explaining exactly what glow worms are and why they glow; I had no idea that glow worms and fireflies are two different things! Once your eyes are adjusted slightly, the small tour group is lead into the glow worm cave. Don’t expect anything extravagant; remember it’s built with the glow worms interests in mind so it’s cold, damp and dark, all of which are perfect for letting a colony of glow worms thrive. 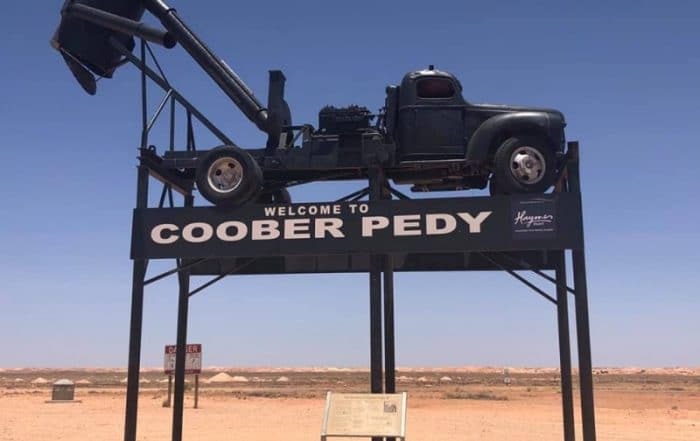 It might be man-made but let me tell you, it’s still magical. Glow worms look completely different to how I expected them too, like little L.E.D lights or stars. Depending on your age and ‘eye health’ you’ll see them differently to the way I did; Dec saw a lot more than me because he has better eyesight and the children on our tour saw them a lot brighter because their eyes are younger… all this is explained in more detail while you’re on the tour, it’s really interesting! What makes Mount Tamborine glow worm caves eco-friendly? I touched on it a little earlier but here’s why in a bit more detail. 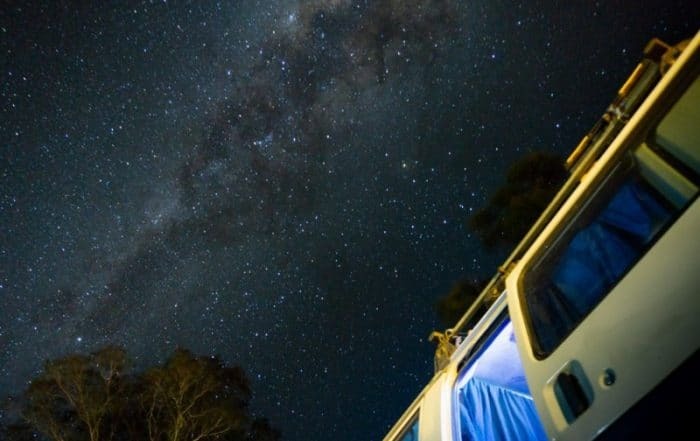 By providing a safe and stable glow worm viewing experience for tourists, Mount Tamborine glow worm caves has actually helped save the wild population too. Since the Mount Tamborine glow worm cave was built, the number of individuals in wild glow worm colonies has been increasing, I guess this is because many tourists are now choosing to do this tour, like we did, instead of going looking for them in the wild on their own. 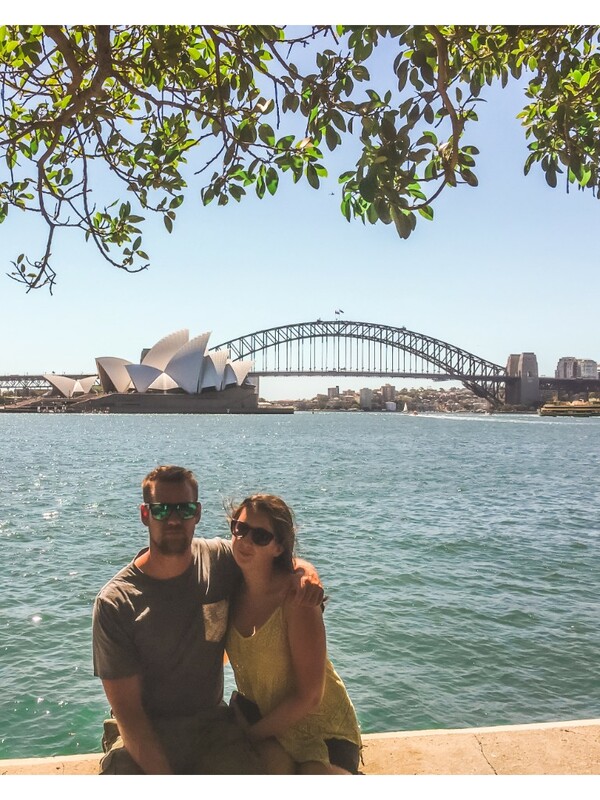 You see, having tourists wandering around uneducated about a glow worms life and habitat is one sure way to ruin their delicate eco-system, so Mount Tamborine glow worm cave tours provide a safe alternative. 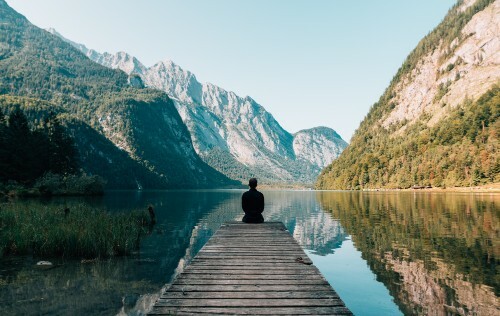 Their man-made cave is also free from predators and other natural issues the glow worms would face in the wild so not only are they safe but humans are actually able to see more of them in one place, making the whole experience pretty incredible. 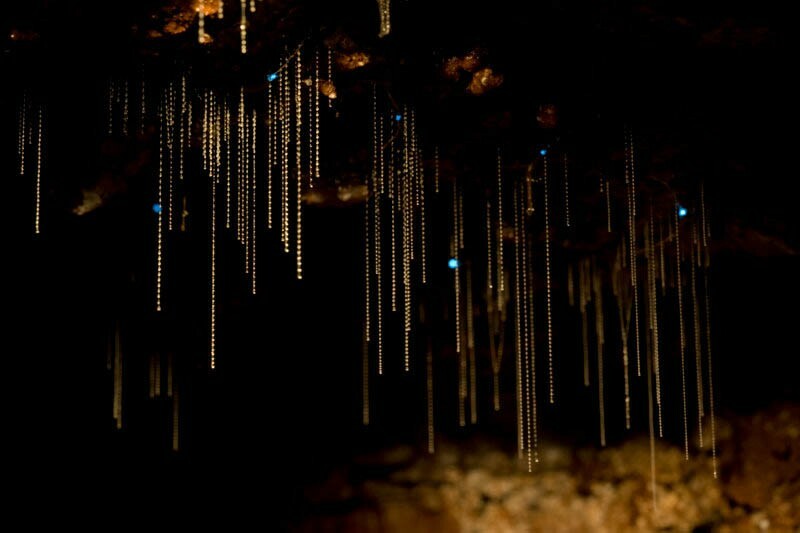 The glow worms, another amazing photo provided by Mount Tamborine glow worm caves. 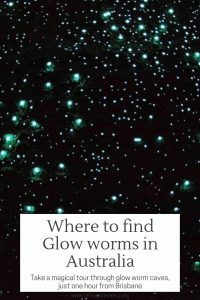 Is there anywhere else to see glow worms in Australia? Australian Glow worms are only found along Australias East Coast in places that are always damp and dark for most of the year. Springbrook National Park in Queensland and The Royal National Park in New South Wales have wild glow worm colonies, however, remember that by disturbing a wild colony you could unintentionally do harm to the population there so I really recommend visiting a purpose-built tour, like Mount Tamborine glow worm cave tours. If you do come across a wild population, don’t get too close, don’t shine lights on them and don’t take photos. 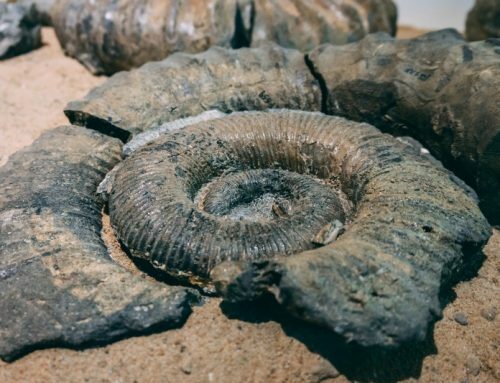 We really enjoyed our glow worm cave tour, while most think $14 is expensive for such a short tour (half an hour) I think the experience of seeing such a mysterious animal up close is so worth it. It’s not like we’ll be able to see them in every country we visit, is it? 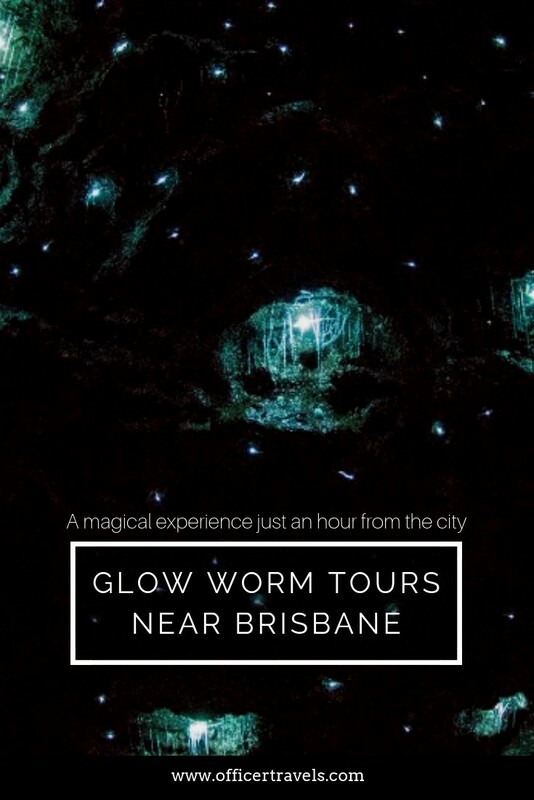 Have you seen glow worms in Australia, we’d love to know if there are other tours like this available! Let us know in the comments!